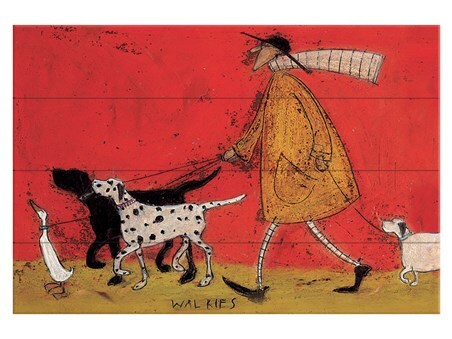 A shiny new scooter and a willing canine companion, this dynamic duo were 'Born To Be Wild'! 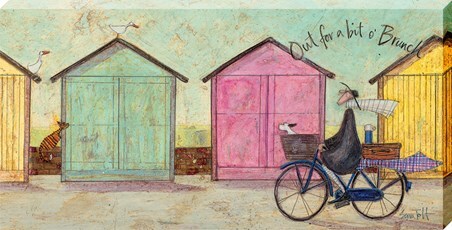 Join Mr Mustard and Doris as they ride towards a destination unknown in this marvellously whimsical canvas print. 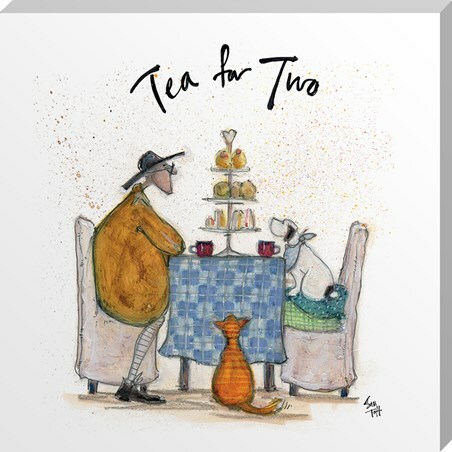 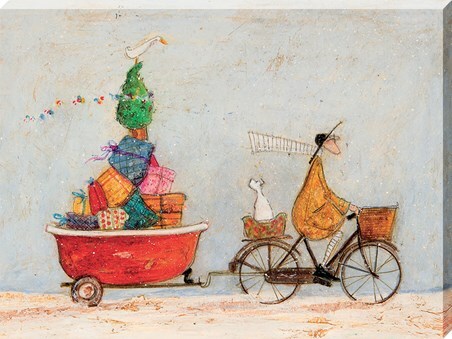 Surrounded by three vibrant balloons, Sam Toft's favourite subjects cruise along merrily, adding joy unbounded to your household. 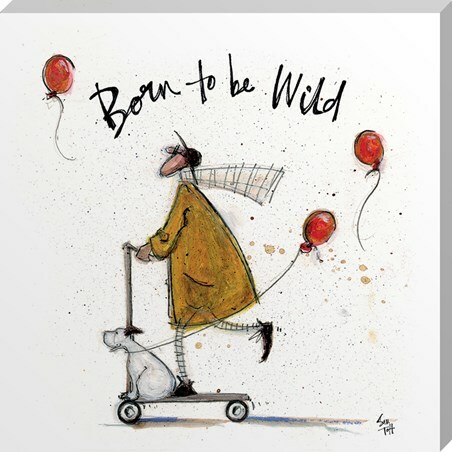 High quality, framed Born to be Wild, Sam Toft canvas print with a bespoke frame by our custom framing service.